*Sale cannot be combined with other discounts in the same order. 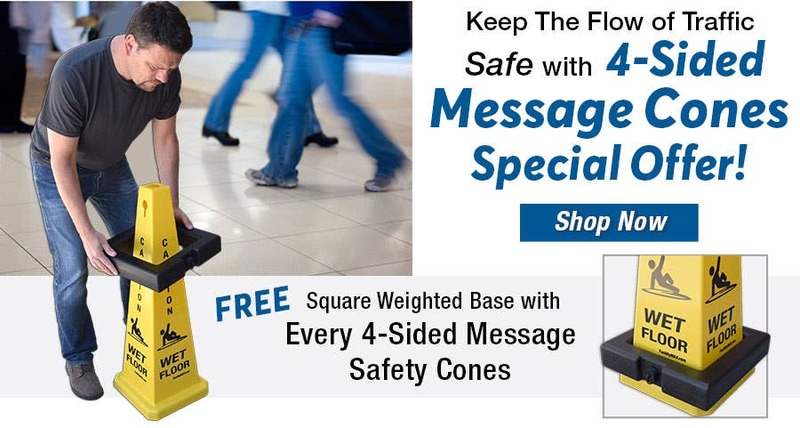 Every 4-Sided Message Cone comes with 1 FREE Weighted Fillable Base Ring (BP16). Use the promotional code BAS19 at check out. This offer will expire 4-30-2019.